East Coast, Gulf Coast Ports: ILA-USMX Reaches 6-year Tentative agreement - Superior Freight Services Inc.
Dockworkers (ILA) at U.S. East and Gulf Coast seaports reached a tentative six-year contract agreement in June with the port operators (USMX), beating the September expiration of the current contract and setting the stage for several years of labor peace at the country’s trade gateways. The new contract carries through mid-2024. In a statement the parties said they hoped to have local agreements that go along with the broader master contract ironed out by July 10, 2018. A ratification vote by members will come after that. 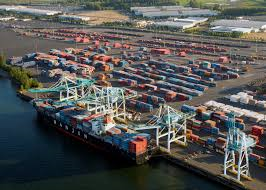 A ratified agreement, along with an existing contract between the separate West Coast dockworkers’ union and port employers there, would leave all ports across the U.S. covered under labor deals through at least the middle of 2022. This is easing concerns by retailers and manufacturers which in the recent past have been marked with severe work slow downs sparked by failure to reach an agreement on the West Coast.